As a child, I was fascinated with feathers and I can honestly say that I still am. So you can imagine my excitement to see them popping up everywhere from t-shirts to wallpaper. 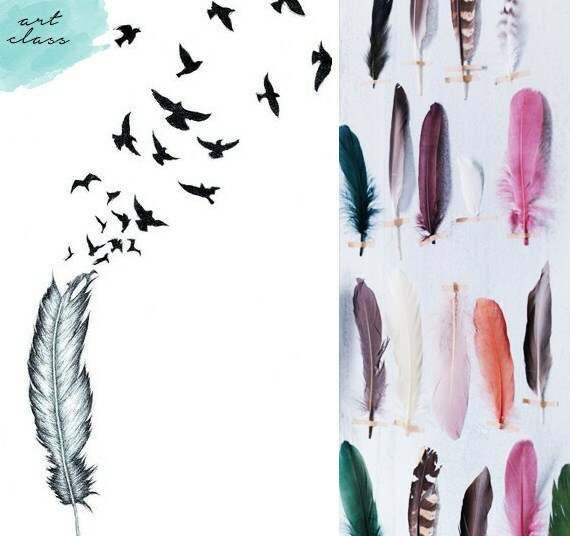 As a child, I was fascinated with feathers and I can honestly say that I still am. Someone once told me that if you see a feather you know your guardian angel is near so I always think of that whenever I see one randomly. So you can imagine my excitement to see them popping up everywhere from t-shirts to wallpaper. 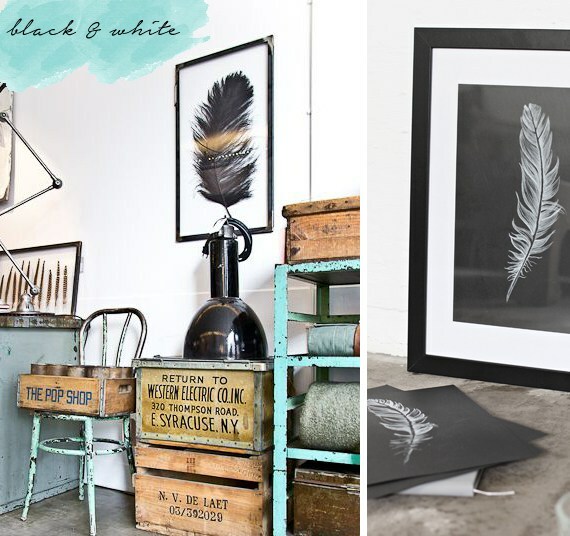 Framed feather prints in black and white make an a impressive statement. 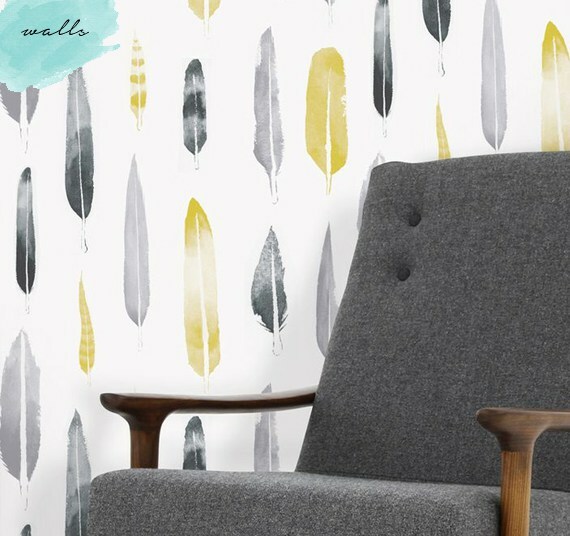 I love this wallpaper with printed feathers that have a watercolour feel to them. The colour combination just works combined with a retro chair. I would like seven of these t-shirts, please! One for everyday of the week and I will try not to get paint on it! 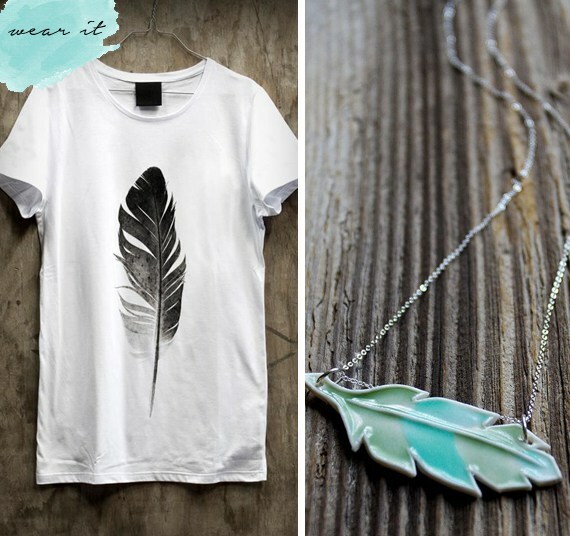 Just look at this whimsical ceramic feather necklace in soft green and turquoise. Beautiful feather drawing bursting into tiny birds. I have also seen feathers being used like leaves and ferns by sticking them to the wall with Washi tape. 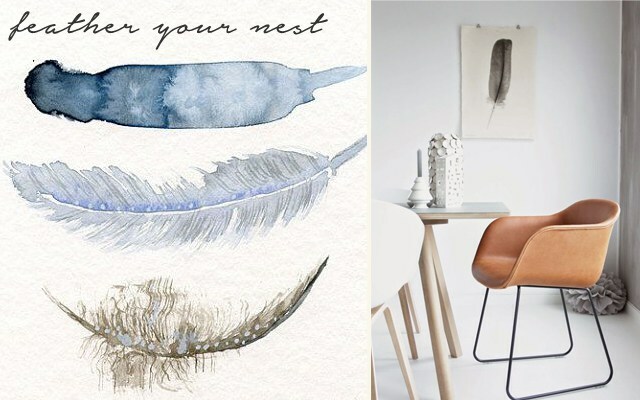 Start collecting feathers and display them in your home to be right on trend. If you feel inspired and want to get your hands dirty, try our copper dipped feather DIY. Germarie Bruwer is an interior designer turned home decor and design blogger. Her award-winning blog, Homeology, features decor, DIY projects, trends and a gardening diary with the aim to inspire and empower her readers.